Your epic Norwegian road trip begins in Bergen, the second largest city in Norway. 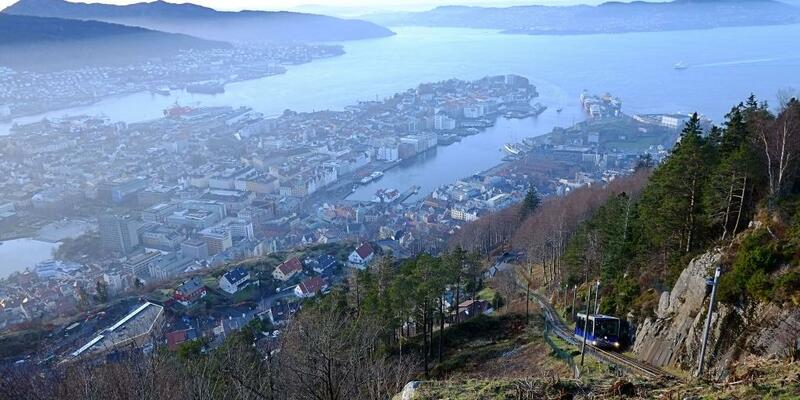 Despite its size, Bergen has a welcoming small town feel and friendly locals to match. Plus, 10% of the population are students, which means you can expect a lively downtown with lots of nice bars, cool cafes and hip galleries ripe for discovery. 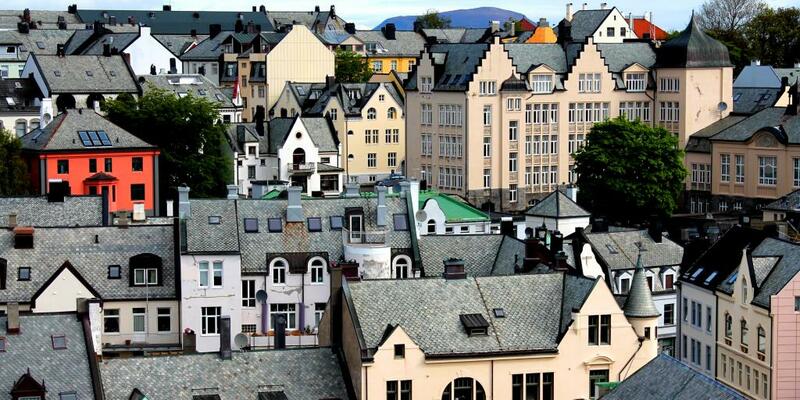 Be warned though: Bergen (and Norway in general) is notorious for being on a pricey side. Keep that in mind as you drive around the country! Once you've picked up your rental car from the airport and reached the city, settle into your hotel, then set out to explore the town. During the early Middle Ages, Bergen was an important seaport and a member of the Hanseatic League - the political and economic power consisting of 192 countries that ruled over Northern Europe for 400 years. 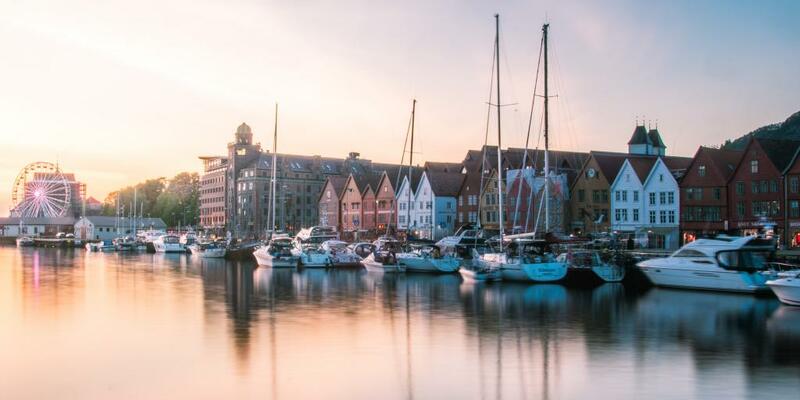 Walk through Bryggen, the historic old town, and you'll get a feel for what life was life back in the day. 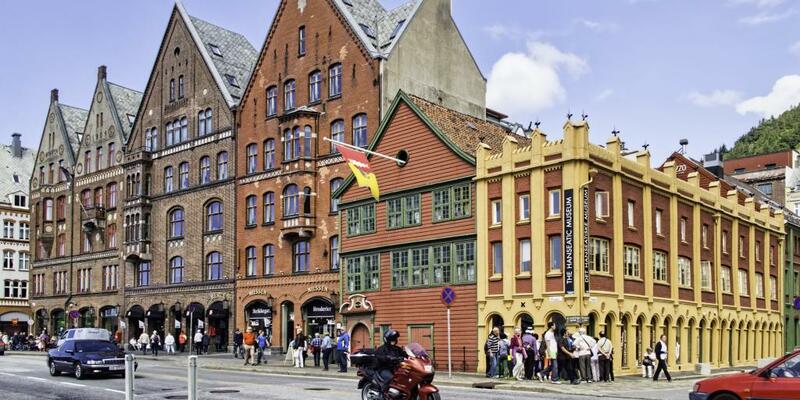 You can also head to the Hanseatic Museum - a distinctive yellow and red wooden house near the waterfront - to learn more about Bergen's storied past. In stark contrast to the old wooden buildings that dominate Bergen, the city is also home to a neat collection of street art displays. See how many colourful graffiti paintings you can spot as you walk around the city. After you've taken in some history and culture, reward yourself with a traditional Norwegian lunch. 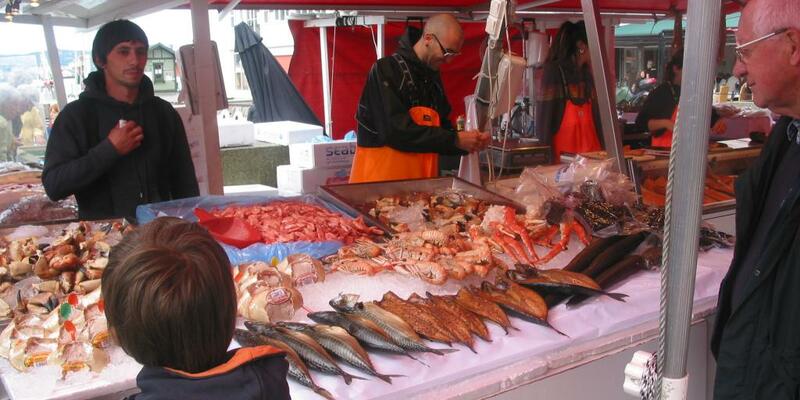 A trip to Bergen would be incomplete without visiting Fisketorget - the famous local fish market that's been in operation since the 13th century. Here you'll find everything from freshly caught King crab, prawns and mussels to seafood salad, smoked salmon and fish soup - a classic Norwegian dish. Head back to your hotel to freshen up, then make your way to the funicular in the afternoon to catch a glimpse of Bergen from up high. The six-minute cable car ride from Bergen city centre takes you to the top of Mt Floyen and offers beautiful views over the city and mountains beyond. This is a great starting point for a hike - however long or short you want to make it. There are a number of well sign-posted trails as well as mountain bike rentals and a zipline at the top of Mt Floyen. Time to get into the adventurous spirit! Once you've explored the mountain to your heart's content, walk back to the cable car in time to watch the sunset as you glide back down into the city. You're probably feeling hungry again by this point, so have dinner somewhere near your hotel. For a cosy and casual pub feel, grab a table at Pingvinen, where they serve up Norwegian specialties like lamb and moose with a side of roast potatoes. 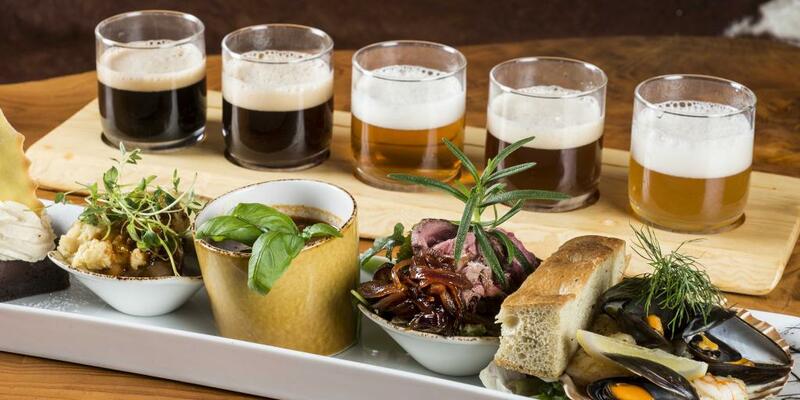 Wash it down with a craft beer for good measure - that should send you straight to sleep! If you're in the mood for one last drink, walk to Apollon just around the corner. This bar-slash-record store is an oasis for music lovers, with an impressive collection of old and new vinyls and a low-key pub where you can sit and enjoy the tunes. Rise and shine! Bergen looks beautiful in the morning light, the pink sun reflecting off its still harbour, so go for a walk down to the water to snap some photos. First things first: breakfast time. Norway is one of those countries (like Sweden and Italy) that take coffee very seriously, so there's no shortage of top-notch cafes in Bergen. Skip the Starbucks and head to one of the city's favourite local cafes: Kaf Kafe Bryggen. This intimate eatery is a tad tricky to find (which is part of what makes it such a stellar hidden gem), but it's very much worth the detour. Strong, delicious (and relatively cheap) coffee is paired with warm waffles, freshly baked cakes and sandwiches, if you're after something a little heartier. The decor is ultra characterful, and the super friendly staff will make you feel right at home. Top tip: Order a classic Norwegian cinnamon bun - you won't regret it! After breakfast, head south of the harbour to the KODE art museums of Bergen, one of the most famous and well-respected cultural centres in Scandinavia. There are four buildings that make up this unique museum complex (KODE 1, 2, 3 and 4), all of which are situated alongside the a small lake called Lille Lungegårdsvannet. 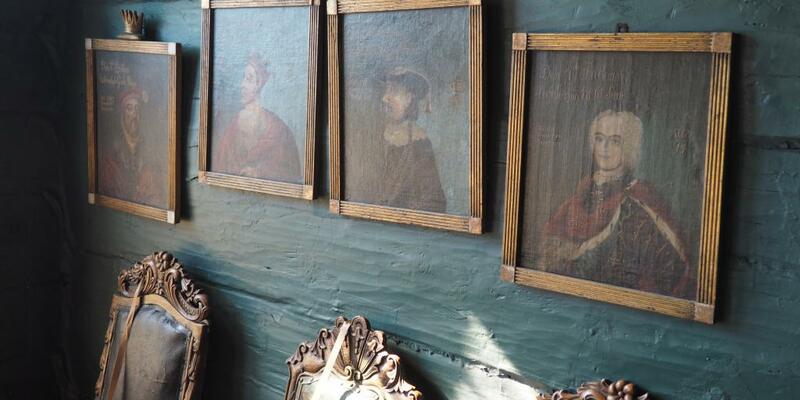 Head inside any of them to discover a spectacular display of masterpieces by Picasso, Edvard Munch and a whole plethora of other artists. Adult tickets cost 120 NOK (around £11) and grant you access to all four buildings for two days. Treat yourself to a meal at Smakverket, just a minute's walk from KODE. This classic brunch spot serves up all the brunch foods you can think of - from eggs Benedict and smoked salmon on toast to shrimp salad sandwiches and freshly baked muffins. After you've eaten, head back to your hotel room and pack up your things - it's time to kick this Norway road trip into gear. If you haven't already picked up a car at the airport, there are a few rental car companies in Bergen city centre - including an Avis just five minutes from KODE. 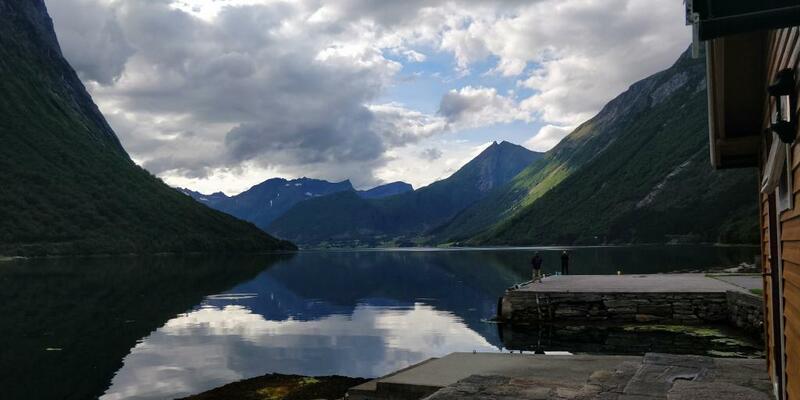 Load your suitcase into the rental car and begin your drive from Bergen to Flåm - the scenic journey along the E16 should take between two and three hours. Arrive in Flåm - the "little place with steep mountains"
The stunning village of Flåm - which is Norwegian for "little place with steep mountains" - has a teensy population of about 350, but it attracts hundreds of thousands of tourists every year its famous railway, the Flåm Line - or Flåmsbana, in Norwegian. 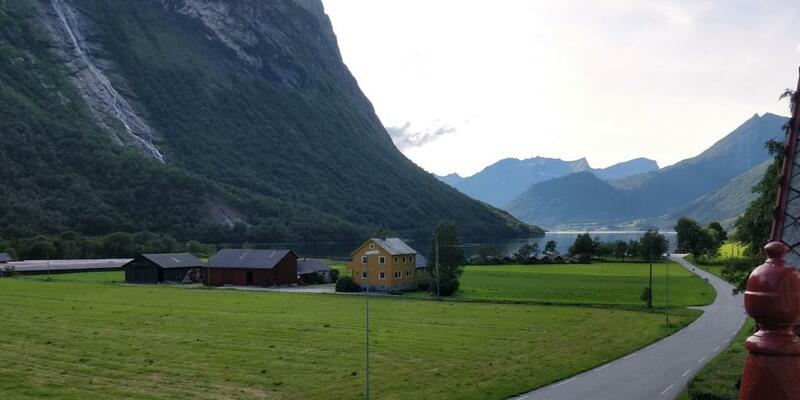 This unbelievably scenic 20-kilometre route travels between the villages of Flåm and Myrdal at a jaw-dropping height of 863 metres above sea level, treating passengers to sensational views of the Norwegian countryside. Thanks to its popularity with travellers, it's also home to a whole variety of accommodation, from chic hotels and affordable hostels to cabins, B&Bs and campsites. Once you arrive in town, settle into your room (or tent) and take it easy for the evening. There are a handful of casual eateries in town, including the atmospheric Aegir Microbrewery, which has a huge selection of beer and tasty food. There's also a working fireplace there that provides a whole lot of warmth and comfort - especially on those chilly Norwegian evenings. Obviously you can't possibly start the day without another coffee and cinnamon roll, so get dressed and find your way to the impossibly adorable Flåm Bakeri, which opens daily at 9am. Once you're fully caffeinated and raring to go, make your way to Flåm train station. Trains depart for Myrdal every hour in high season and every couple of hours during low season, and tickets can be booked well in advance, so be sure to do so on the NSB website before your trip. 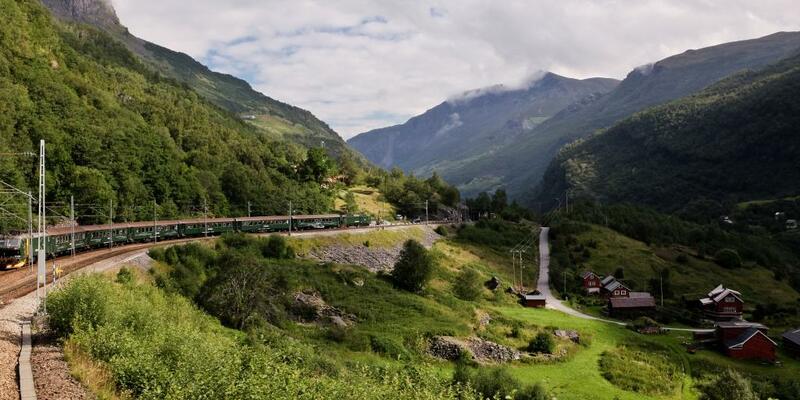 The journey to Myrdal takes just 45 minutes, but it will likely be stamped on your memory for a lifetime. This route was dubbed one of the top 10 train journeys in the world by National Geographic Traveler Magazine, and Lonely Planet named it the most beautiful train journey in the world in 2014. Expect to see lush green mountains, glittering fjords, herds of sheep and majestic snow-capped peaks. Best of all, this is the perfect opportunity for you to take a break from driving and enjoy the wonderful sights of Norway without having to concentrate on the road. Plus, if you've got children with you, it's a delightful adventure that they'll remember forever. Midway through the journey, the train stops at Fjoskossen, a magnificent gushing waterfall. Hop out here for a 15-minute break - and be sure to bring your camera! If you're feeling flashy, treat yourself to lunch in the dining car - but beware, the prices are steep (and the food options are not amazing). A better option is to feast on picnic food that you brought from Flam bakery, or wait til you get off at Myrdal for lunch. When you reach Myrdal, pop into Cafe Rallaren, which is right at the station. Treat yourself to a creamy hot chocolate before heading to the back of the shop to pick up a rental bike (we recommend calling in advance of your trip and reserving a bike ahead of time). Adult and kid bikes both cost 350 NOK (£32) for the day, and you can rent an attachable children's seat for an additional 100 NOK (about £9). And don't forget helmets! 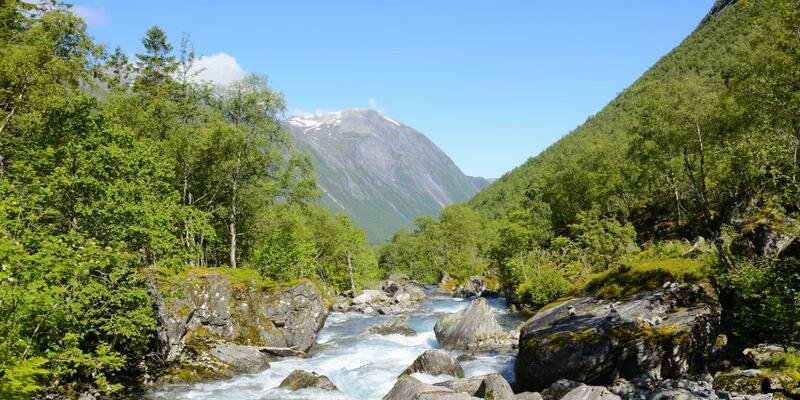 If you're feeling adventurous, embark on the return journey from Myrdal to Flåm by bike, which takes you past stunning scenery, babbling brooks, old farm houses and wild raspberry bushes. This popular stretch of road is part of a bigger route called Rallarvegen, aka the old navvies' road, which was built in the early 1900s to give navvies access to the Bergen Railway during its construction. The entire 123-kilometre-long Rallavegen route begins in Haugastøl and ends in Voss, but the Myrdal to Flåm leg is just 17 to 20 kilometres long and mostly downhill, making it easily manageable in two to three hours - with a couple of breaks to snap photos, of course. And you most certainly will want to take pics; it's one thing seeing Flåmsdalen (Flam Valley) through the window of a train, but it's a whole other thing being right in the thick of it - and on two wheels at that. Packing tip: Make sure you bring good shoes, warm (preferably waterproof) clothes and a pannier to attach to your bike so you can cart along a water bottle and some snacks. Note that Cafe Rallaren only offer bike rentals during high season, from the beginning of June to the end of September. If you're travelling to Norway outside those dates (or if you'd rather take the easy way home) then you might want to hike around Myrdal instead and take the train back to Flam in the afternoon. Have a quiet one tonight and reward yourself with a hearty dinner after your long cycle. Try to get an early night; there are plenty more adventures in store! Good morning Norway road trippers - time to hit the road once more. 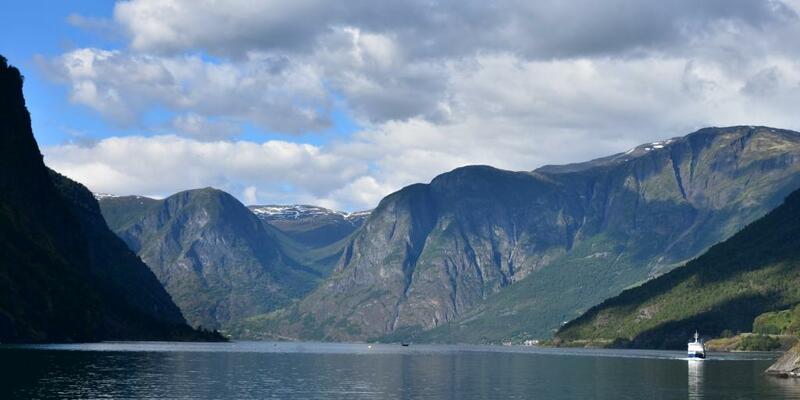 This time we're heading up north to Hellesylt, the gateway to the gorgeous Geirangerfjord. Plan to check out of your hotel in Flam early and leave by around 8am so you can reach Hellesylt in time for a late lunch. The village of Hellesylt may be quaint, but its rich history and stunning setting have earned it UNESCO World Heritage status. The main attraction here (apart from the spectacular fjord, of course!) is a gigantic waterfall that cascades from a mountain right down through the centre of town. You'll most likely hear its powerful roar before you even see it! When you reach Hellesylt, park your car and have a stroll along the waterfront and along the bridge that crosses over the waterfall. If you're hungry, pop into the local pizza restaurant Ocals and grab a seat by the window to watch the waterfall storm powerfully by from indoors. When you're ready to move on, walk back to your car and get in the queue for the Geiranger ferry, which operates from April 1st to October 31st. Note: There are three daily departures from Hellesylt in April, four in May, eight from June to September and three in October. You don't necessarily have to book tickets in advance, but you will want to get in the queue early to secure a place. A single adult ticket costs 285 NOK (about £26). Head to the Visit Norway website for the timetable and more detailed ticketing info. This hour-long boat ride takes you through one of the most iconic and drop-dead gorgeous fjords in all of Norway: the UNESCO-listed Geirangerfjord. Keep an eye out for towering waterfalls (including the famous Seven Sisters Waterfall), abandoned farms clinging to the hills and adventurous kayakers paddling through the fjord. You should arrive in Geiranger around 2pm or 3pm. There are a few street parking spots near the dock, but if you can't find any, drive up to the supermarket, where you'll probably have better luck. 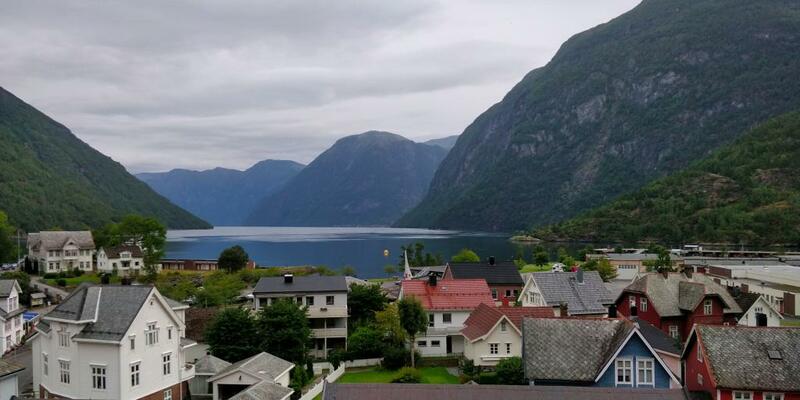 Then lock up your car, check into your hotel and have a quick rest before setting out to explore the picturesque town of Geiranger. If you feel like getting some exercise, head to the waterfront and take the long staircase (300+ steps) up to the top of Fosservandring, a jaw-droppingly powerful waterfall. 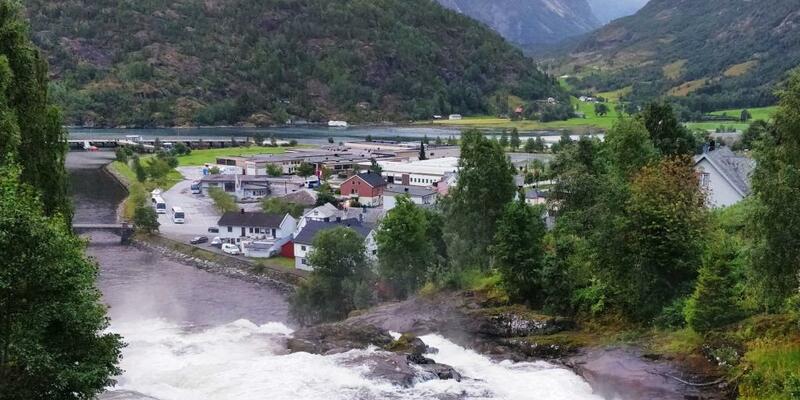 Once you reach the top of the Waterfall Walk, you'll see Hotel Union and a fjord museum. Walk over the falls on the viewing platform for a better look at it from above. Our recommendation is to nab a table at the popular Olebuda Restaurant near the waterfront, which stays open even in the off-season. The menu here features hearty dishes like lamb shank, hamburgers, risotto and chicken salad, as well as a couple of veggie and vegan options. If the weather permits, order dinner on the patio and spend the evening watching the fjord glisten under the moonlight. Bliss! Have a lie-in this morning before getting ready to set off on the open road yet again. 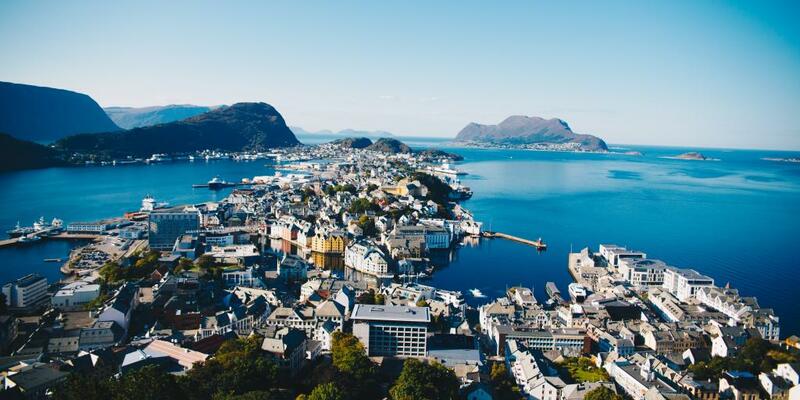 Today's ultimate destination is Ålesund, one of the most picturesque cities in Norway. A quick history lesson: Famously, Ålesund (pronounced "all-uh-soond") was completely destroyed in a fire in 1904, the flames incinerating about 80% of the city's (mainly wooden) houses. Incredibly, only one person died in the fire, but within just 16 hours more than 10,000 people were left without homes or possessions. From 1904 to 1907, the city was painstakingly rebuilt in the Jugendstil (Art Nouveau) style, which was considered very contemporary at the time. Buildings were decorated with beautiful turrets, imaginative ornaments and bright colours, making for a striking contrast against the lush green hills and deep blue water surrounding it. The result: the incredibly charming and postcard-perfect city you see today! 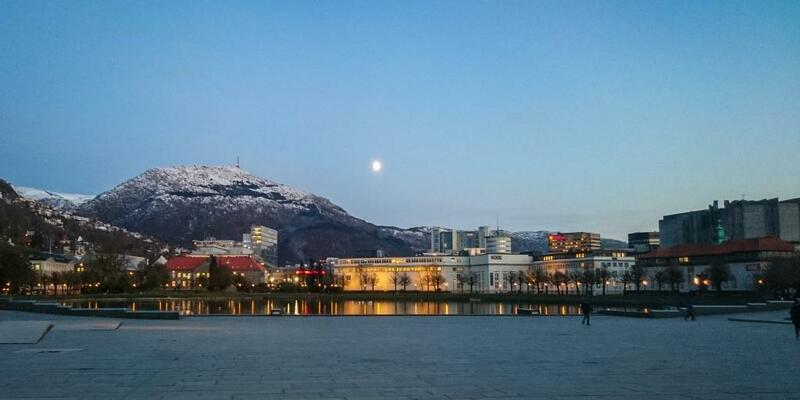 After you've checked into your Ålesund hotel, walk into town for a late lunch. The popular and super cosy Lyspunktet Cafe on Kipervikgata offers up warming hot chocolates, tasty homemade cakes and delicious low-key lunches like toasted sandwiches, lamb kebab and creamy fish soup. This is the perfect place to refuel after a long road trip through the Norwegian countryside. After lunch, walk around the historic Ålesund harbour and discover some of the city's quirkier attractions - like the historic Trankokeriet antiques shop and Ingrids Glassverksted glassblowing studio, where you can watch the artists at work and purchase some of their funky designs. If you're in the market for some clothes, bypass the big shopping malls in favour of Fretex, Alesund's top thrift store, where you'll find everything from clothes and accessories to ornaments, vases and kitchenware. Once you've shopped til you've dropped, head back to your hotel and have a quick nap or a rest before heading out on the town for dinner. There are lots of options in and around the waterfront, whether you're in the mood for fresh seafood, pizza or casual burgers. Bon appetit! 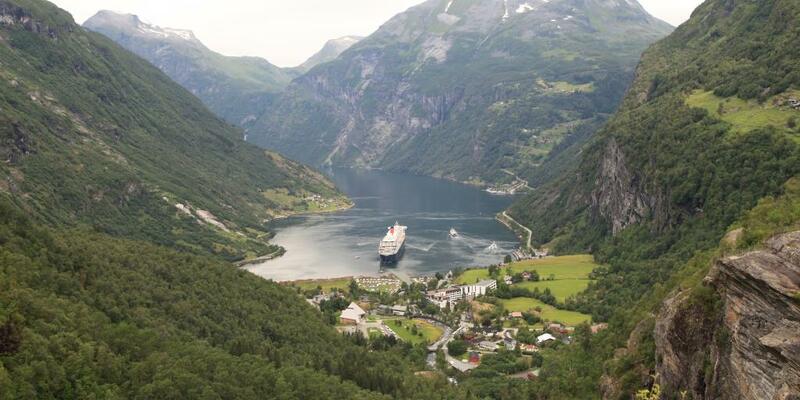 On day 6 of your Norway road trip, we're taking a break from driving to send you out onto the high seas. Just off the coast of Ålesund is an island called Runde, which is known for its enormous population of seabirds - specifically, puffins! About 100,000 pairs of puffins nest here yearly, and you'll also have the chance to spot colonies of skuas, gannets and shags. Get a relatively early start this morning and head to the high-speed ferry terminal Skateflukaia in Alesund to hop on a boat to Runde. Another option is to drive there and then embark on a boat trip around the island once you arrive. 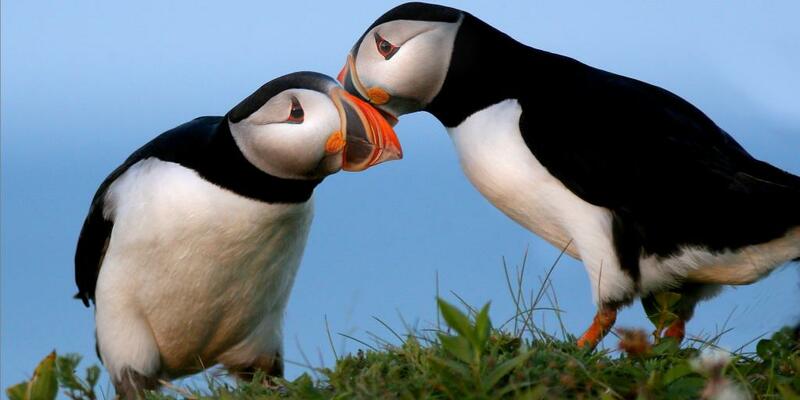 It's important to note that visiting Runde doesn't necessarily guarantee that you'll see puffins. They're generally around from April through August, but they tend to stay at sea in the daytime and are somewhat unpredictable when it comes to flying back to the island. Plus, the nesting areas are within a protected nature reserve, so there's a chance you won't actually get to see them up close. 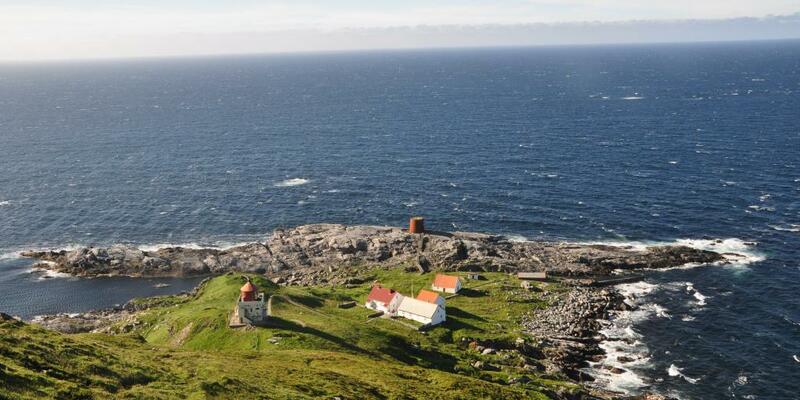 That being said, Runde itself is positively stunning, with wild landscapes, rolling green hills, rustic old lighthouses and ample hiking opportunities. Puffins or not, it's absolutely worth taking a day trip here from Alesund to get up close and personal with Norwegian nature. In the afternoon, head back to Ålesund and have a hot shower at your hotel; after spending the day outdoors, you'll likely appreciate it! 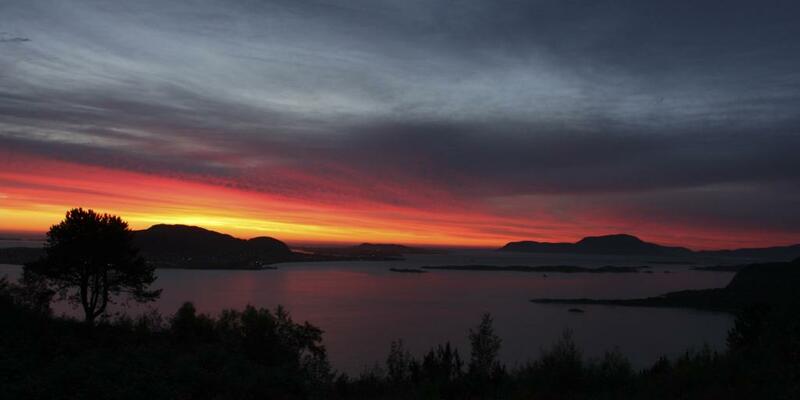 Before sundown, make your way into the city centre and climb up the steps to Fjellstua viewpoint (aka Aksla viewpoint), one of the most popular attractions in Ålesund. You probably noticed the stairway when you first arrived in Ålesund; it's the distinctive zig-zag that meanders up the hill in the middle of the city. If your legs are feeling a bit wobbly from hiking Runde Island, you can also drive up to the viewpoint by car - there's plenty of parking at the top. From here, you'll be able to look out over the entire city of Ålesund, from its multicoloured houses neatly arranged along the streets to the giant Sunnmøre Alps and aquamarine seas all around the archipelago. At sunset, treat yourself to a drink and an early dinner in the cafe at the summit, which has lovely panoramic views. Feel free to sleep in a little this morning and enjoy a coffee in bed. When you're ready to get up and at 'em, then pack up and hop in your car. Head east out of the city and make your way to the E136; it should take just under two hours to reach your destination. Today you'll be experiencing iconic Norway with a drive along the magnificent Trollstigen Mountain Road, also known as Troll's Footpath. If you follow any travel bloggers or Instagrammers who've gone on a holiday in Norway, you'll probably recognise the distinctive hairpin turns and wild landscapes of Trollstigen from pictures. This zig-zagging 55-kilometre-long route winds around mountains and rivers, through tunnels and along fjords, past lush valleys, rocky mountains and cascading waterfalls. According to Norwegian folklore, trolls roam the region every night, morphing into stone mountains as soon as the sun rises. If you're lucky, you just might spot the shape of a troll's face jutting out from the cliffs. Note that due to its narrow roads and iffy conditions, Trollstigen is only open from around mid-May to October, so if you're planning a trip to Norway outside those dates it's probably a no-go, unfortunately. For everyone else, you'll be starting at the north end of the route (turning right off the E136 onto route 63). Cruise past dense forests, huge boulders and tiny farm houses until you reach the entry to Troll's Way. 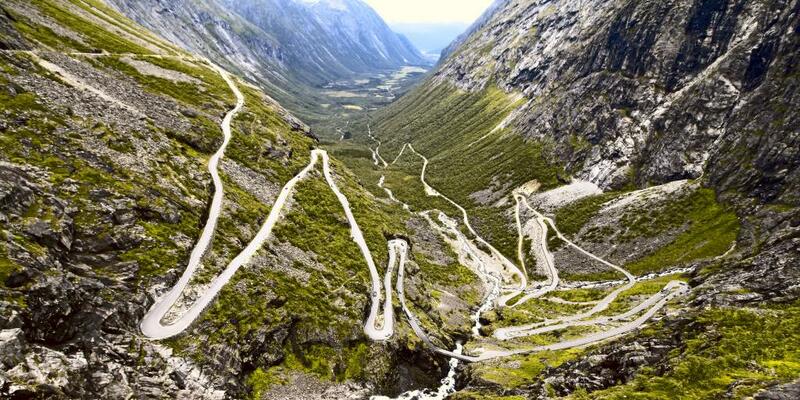 From there, you'll start a steep ascent, winding this way and that around the Norwegian countryside. If all this back-and-forth driving makes you feel sick or nervous, don't worry; there are plenty of rest stops where you can get out, stretch your legs, enjoy the views, and psych yourself up a bit. 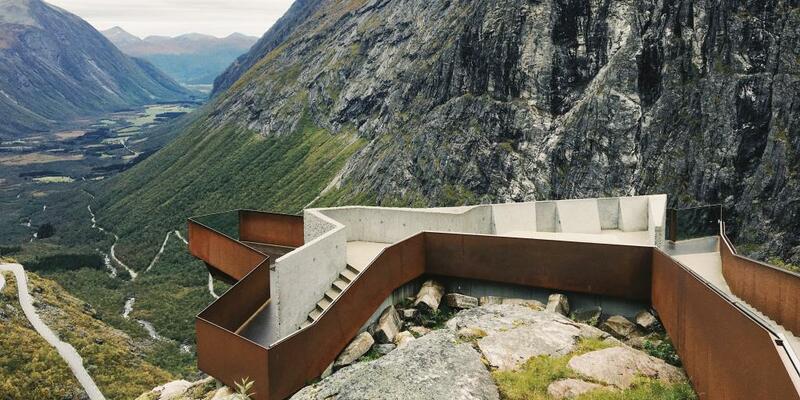 Your ultimate goal is the brand new, incredibly visually striking Trollstigen Centre at the top of the road. After such a thrilling drive, pretty much everyone stops here to get some fresh air and walk around. Park up your car, pull on your jacket and meander along the scenic pathways surrounding the visitor centre, which have been designed to provide the most jaw-dropping views and lead to an amazing viewing platform overlooking it all - including those 11 incredible hairpin bends you just conquered! 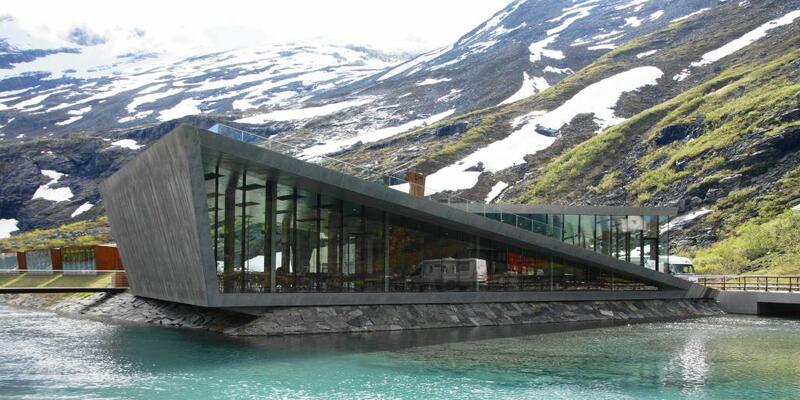 Trollstigen Visitor Centre is also home to a superb cafe with reasonably priced coffee and food. Use this as an opportunity to have some lunch and a rest before heading to the shop to buy some troll-themed souvenirs (you know you want to). Continue south on route 63 about 45 minutes until you reach Gudbrandsjuvet, a small scenic gorge cut through by the clear blue Valldøla River. This is a popular camping area, but it's also a great place to stop off for a coffee and a walk along the pretty viewing platforms that jut out over the river. If you do stop here, be sure to order a coffee and a cake at Gudbrandsjuvet Cafe, a sleek modern glass building with floor-to-ceiling windows perched right within the landscape over the water. It's the perfect place to take in the stunning scenery without having to withstand the elements! Again, the cafe tends to close for winter, so check the times beforehand. If you have time for a detour, head southwest about 1.5 hours to the tiny town of Øye. It may be small and there may be literally nothing to do but walk around, enjoy the scenery and marvel at the colourful, somewhat bizarre wonder that is Hotel Union, but Øye actually has a surprisingly crazy and complex history that's worth looking into. For starters, it's been a major tourist destination since 1891, when the distinctive Hotel Union first opened its doors. Back then, this part of Norway was a popular winter holiday destination for aristocrats and high society folks, who would all make Hotel Union their base. Some of the most famous guests in history here were Kaiser Wilhelm, Princess Victoria, Sir Arthur Conan Doyle and Coco Chanel! 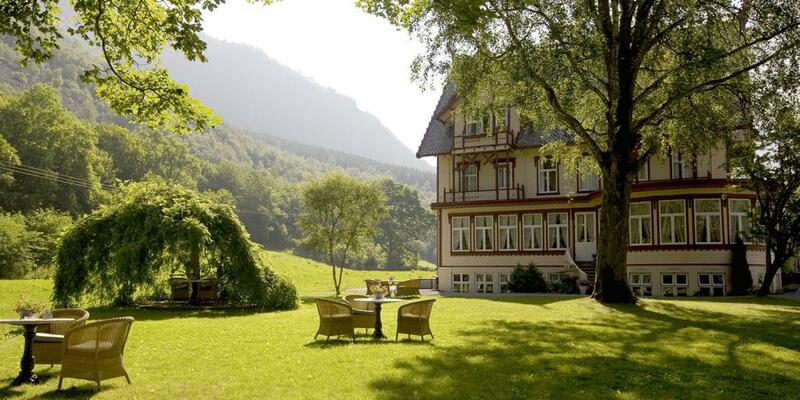 It's also, according to hotel staff, situated on one of the fjords where the Germans hid their naval ships during World War II. Pop into the hotel and ask the concierge for more details. Incredibly, the hotel really hasn't changed much over the years. The lavish furnishings and old-world set up are all still there, from the four-poster beds and velvet backboards to the wait staff kitted out in traditional outfits. Plus, each of the 27 guest rooms is named after a famous figure who once stayed there, and if the room is unoccupied, it's open for public viewing. This transforms the hotel into a fascinating relic of the 19th century, sort of a hotel-slash-museum. If you choose to visit Hotel Union for dinner (or to stay the night), take some time to explore all its elegant and oddball features. There's a lovely terrace out front with cosy wicker armchairs and soft blankets, and the garden in the back has spectacular views of the surrounding mountains. 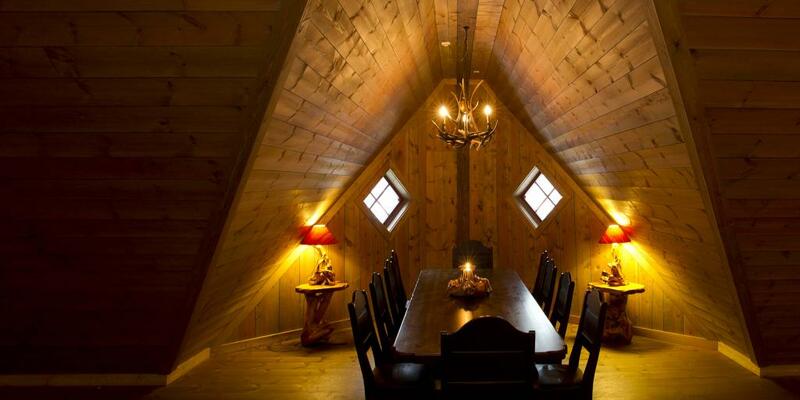 It's the perfect place to play a game of cards while sipping on a glass of wine. At some point during your visit, wander up to the third floor, where you'll see a massive rock sitting right at the top of the stairs. It may look like an odd decoration choice, but this is actually a chunk of mountain that was sent flying through the roof of the hotel when an aircraft attempted to bomb a naval ship hiding in the fjord. According to the hotel staff, it hasn't been moved since! Dining at Hotel Union is a formal affair, with two sittings for dinner during high season: one at 6:30pm and one at 8:30pm. You'll be treated to an extremely elegant and delicious three-course meal featuring some of the best local and seasonal ingredients crafted into inventive dishes. And after dinner, guests are invited into the Sun Lounge to hear ghost stories about the hotel's past. It's a strange but undeniably memorable way to round off your Norwegian road trip. If you'd rather head back to Ålesund before dark and get dinner there (perfectly understandable), head west along the Fv650 back into the city. It should take you about an hour and a half to get back to Ålesund. Today is the last day of your driving tour of Norway (sad face). Take the morning to buy some last-minute souvenirs, snap some final pics and write a couple of novelty postcards home. Then pack up your things, check out of your hotel and head to Ålesund airport.